Thank you everyone for participating in this contest! The contest is now closed. If you didn't win these 2 tix, that is ok, you still can attend by buying tickets now, and a portion of your ticket price is tax deductible. You can also visit my friends Lesley Eats , or Amy The Fearless Homemaker because they too are offering 2 tix. Hurry over to see them because you now have less than a day for their contests! OK, now for the random number! and the winner is Joyce Grizzle! Congratulations Joyce Grizzle! Joyce Grizzle email me at LannaeLong at yahoo dot com and give me your email address and guest name, so I can register you for the 2 free tix! 1. When you are done doing one of the above, leave a comment in the comment block of this blog post telling me your name, and which sign-up, like or follow you did. To increase your chances to win , do more than one, and leave a new comment for each entry with your name. If you do all three, sign-up, like and follow then add three comments, you will have three changes to win. If prior to today, you have already signed-up, liked and/or followed Second Harvest Food Bank, leave a comment for each action you have already taken with your name. If you have already done all three, leave me three different comments telling me your name and each one, and you get three chances to win. Remember, leave separate comments for each, to increase your chances of winning. 2. 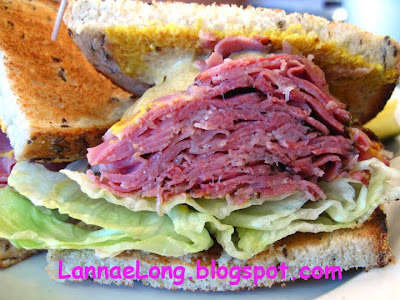 Check back to this blog post on May 8, 2012 after 9:00 pm. 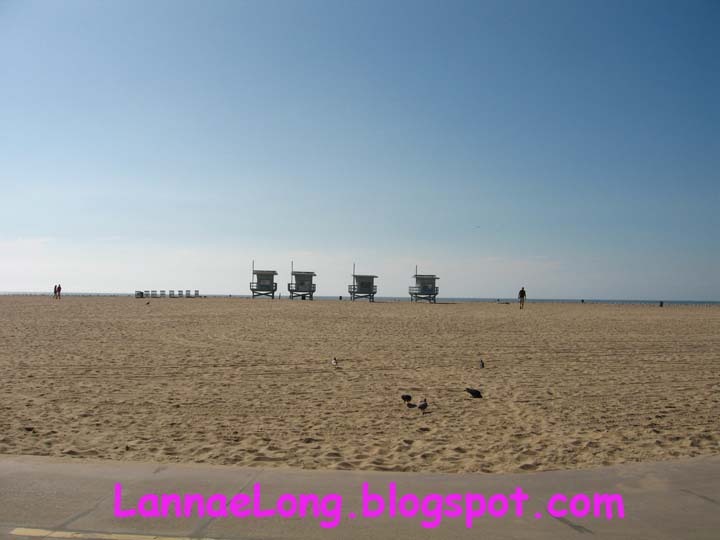 The contest on this blog will close on May 8, 2012 at 9:00 pm Central. At that time, I will use a random number generator to choose the comment number winner. 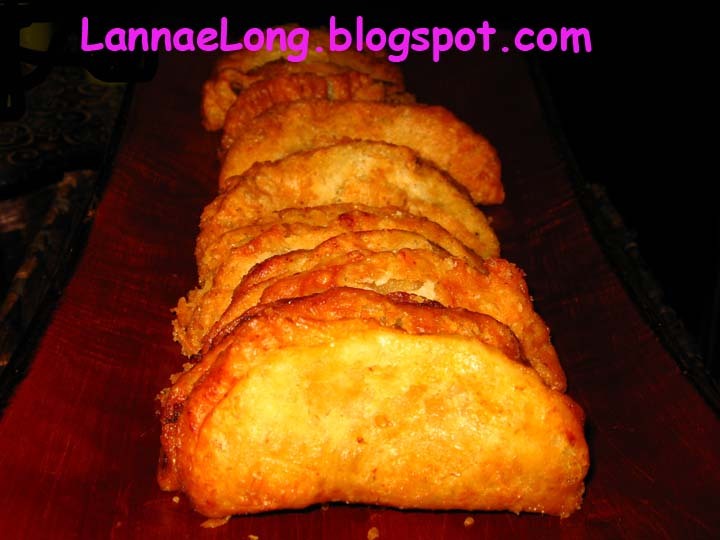 I will update this blog post with who the winner is, and you have a day to email me with your name, your guest name and your email address to get you registered at Generous Helpings. If you don't get back to me within a day, I will move on to a 2nd name and so on until there is a winner. If you want tickets now, you don't have to enter this contest, you can go and buy tickets now, and a portion of your ticket price is tax deductible. Come and taste appetizers, entrees and desserts from featured restaurants include 55 South, Amerigo, Chappy's, Fido, Fish & Co, F Scotts, Jeni's, Kickin' Coffee and Tea, Local Catering, Marche, Margot, McConnell House, Miel, NSCC, Noshville, Perl, Porta Via, Porter Road Butcher, Provence, Red Pony, Riff's, Second Harvest Food Bank Culinary Arts Center, Sloco, Sol, Solario, Sweet 16, Table 3, Tayst, The Bloomy Rind, Local Taco, Mad Platter, Turnip Truck Wild Hare, Watermark, and the list keeps growing. Sponsors include Kroger of Middle TN, Lightning 100, Nashville Scene, Yelp and Fifth Third Bank. You don't have to wait to give food, time or donations to Second Harvest Food Bank of Middle Tennessee, you can give anytime at http://secondharvestmidtn.org/give/. While in L.A. I actually got to walk the Grammy's Red Carpet. Yes, the red carpet is like it is on TV, except it is in 3-D, it is wider, and it is horizontal to walk on. I had a ball walking down the red carpet in my discount after x-mas sale clothes, flip-flops with flowers on top, and a discount clothing store faux fox around my neck. The Man was up for 2 categories this year, and it just so happens that his categories were being announced one of the 1st and last slots, meaning we had about 3 hrs to kill in between the 2 announcements. So, what do you do for 3 hours while being held captive at L.A.'s Staple Center? That is right, you go find a bar close by. 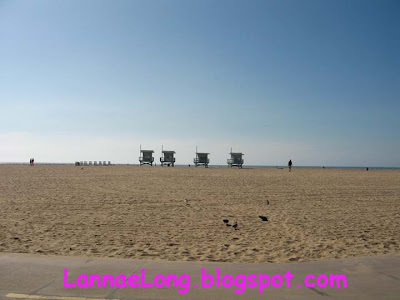 For anyone who has been to downtown L.A. near the Staple Center, there is virtually nothing there, and the few restaurants there are not open on Sundays and definitely closed Sunday afternoon, except for, you guessed it, Hooters. So, The Man, the band, crew, and me all in very spiffy dressy clothing walked over to the Hooters to kill 3 hours while awaiting the 2nd announcement. There isn't much delicious at Hooters, IMO. Everyone says the wings, but I am not a fan. But, I think I did find one dish that is actually ok. Tots. Hooters tater tots. 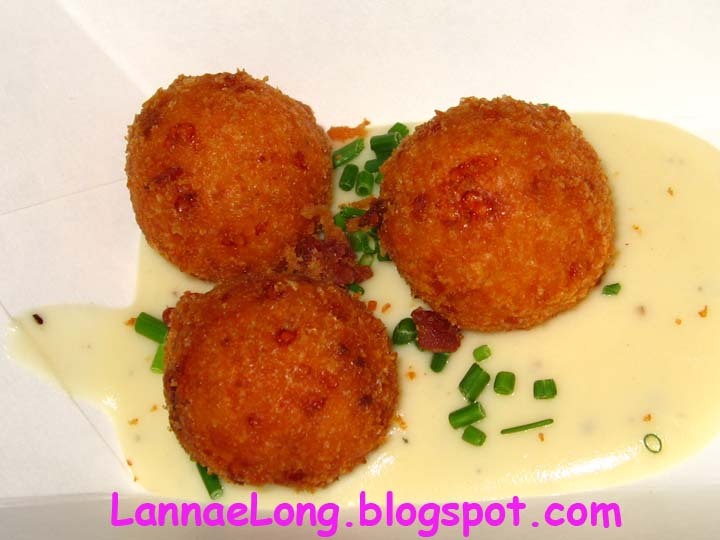 They were actually not bad, fried up crispy on the outside, and topped with real bacon bits, orange cheez sauce, scallions and sour cream. 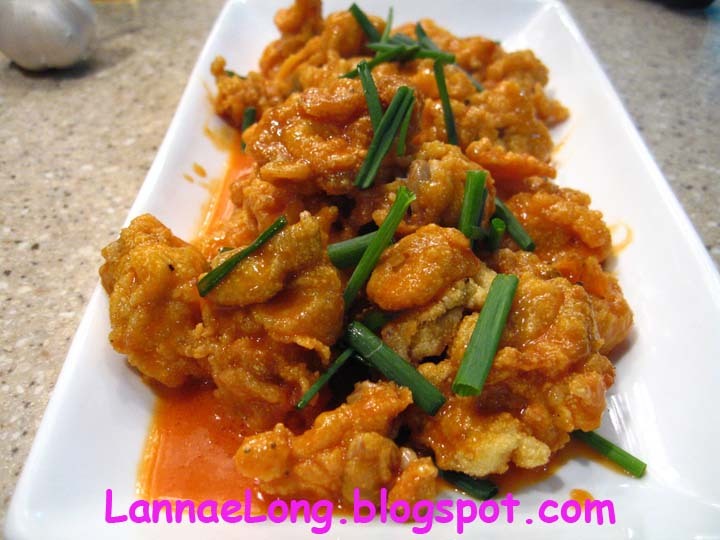 What is not to like about this dish? So we got an order of tots and a few rounds of drinks and waited. Boy, did we all look good sitting there in our outfits! The outcome this year? O for 2, and a lifetime of 1 for 4. Yes, I get to live with a Grammy on the mantle. One day, I would like a friend for Grammy on the mantle, but it was not to be this year. Iron Fork 2012 goes to Laura Wilson of Grow Local Kitchen at the Nashville Farmer's Market! Well, it is more like Brass Spork goes to Laura Wilson! 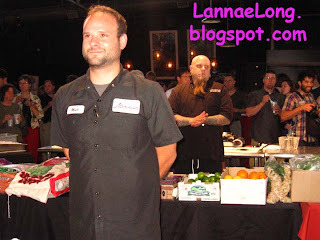 The Nashville Scene Iron Fork competition 2012 had Vinny, Michael, Roderick, Jason and Laura compete for title of Champion of Iron Fork. Laura Wilson wins 2 years in a row. Me and a few other people had "money" on Laura or Roderick, and Laura as a long shot, as she won last year. I think this is one of my favorite food events during the year. The pantry sponsor is US Foods, and they had everything from pineapple, lettuce greens, fantastic meats, crab, and of course, the secret ingredients: shitake, cremini, and oyster mushrooms. Thanks US Foods for being such a yummy sponsor! Proceeds to go Second Harvest Food Bank, a charitable organization I love to support. Vinny of Sapphire, Michael of Boundry, Jason of Merchants, and Roderick of Silly Goose gave Laura a run for her title. They battled for an hour. But alas, Laura triumphed. For whatever it is worth, I do like the competition. This Iron Fork is really tough. No fridge, no ice cream maker, no oven. How do you cook with no ovens? There are just single burners, blender and mix master on a stainless steel table. It is almost like cooking in a dorm room in the 1980s. That is why I had "money" on Roderick, the guy who started Silly Goose with only a couple George Forman Grills, a single counter top burner, and a small home sized ice cream maker. He is the guy who is used to cooking with no appliances. While the competition was going, there were a bunch of restaurants offering tastings to the spectators. After tasting at 3 tables, I was stuffed, there was such good treats. My favorite treats were Wild Iris' stuffed mushrooms topped with truffled pea pesto. I ate 3. Then there was Perl Catering house cured bacon fried pie. I ate 3. And lastly, Cabana's grits balls with white cheese sauce. I ate 3. I am looking forward to next year. Who will be Spork Champion? Laura? Another Chef? 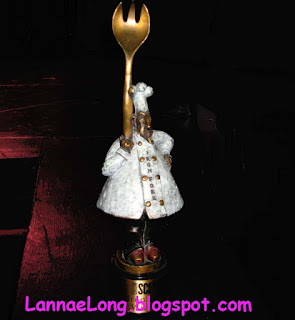 In the meantime, congrats to Laura Wilson for her 2nd win, and the only chef to win Iron Fork more than once. With all the stuff going in Nashville this spring, here is one more. 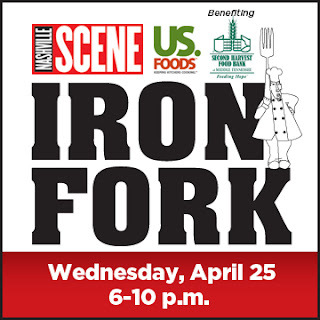 Iron Fork, the food competition that has become a legend in Nashville. Will Laura Wilson defend her position as Iron Fork Champion, or will one of the four worth chefs give her a run for the money and title of Iron Fork Champion? 36 restaurants will be there sampling food. I call Boston my hometown, only because I spent my formative years in my late teens and early twenties in Boston. 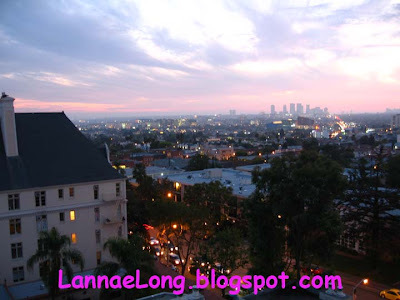 But Boston isn't really my hometown, Los Angeles is, as I was born and breed there for my childhood. It has been decades since I have been to 3rd and Fairfax, since I was a child. I actually forgot about the farmers market over all these years. 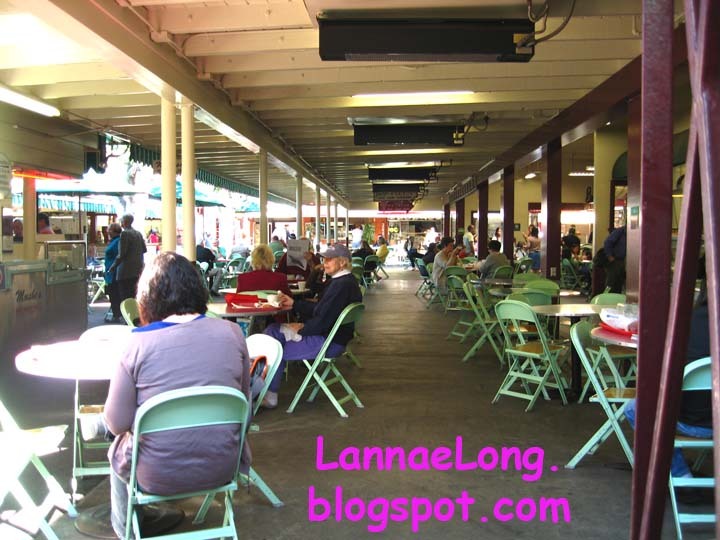 With this recent trip to L.A. we went to the farmer's market for lunch, and I got an overwhelming feeling that I remember this place. I remember the shoe cobbler, at one of the entryways. I remember my mom taking shoes there to be fix. I remember how one of the meat counters look. I remember ice cream and I remember a place where my mom would get some rotisserie chicken. What was new to me, or I did not remember, was the French cheese and wine shop. 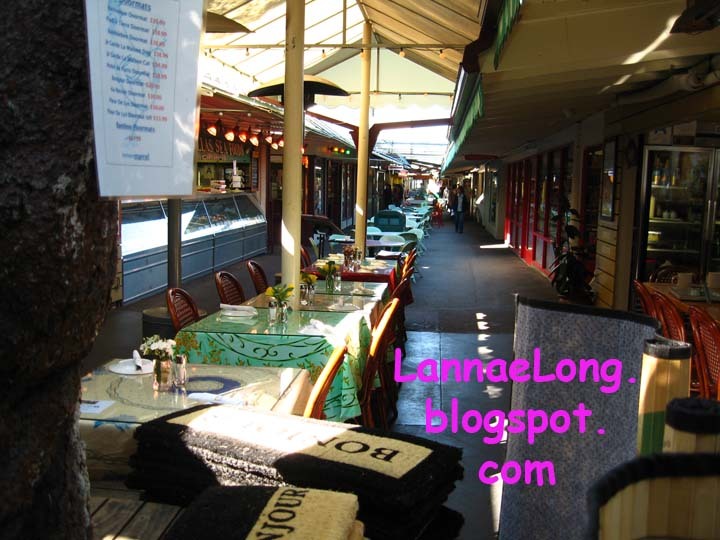 It was a flood of memory that I have forgotten about once I stepped foot in the market. Going to 3rd and Fairfax during this recent trip makes me think that my time as a child with my mom, who did all the grocery shopping for my family, shaped how I seek food and eat food today. When I was a kid, my mom would go to the farmers market, the local grocery store, the country mart, and live chicken farm, to find the best and freshest food for my family. She did not and still does not shop at W@lm@art, and neither do I because you just give up on quality and freshness from that box store. If you look at how I source food for my house, it is as if I am seeking 3rd and Fairfax of my childhood. I do most of my grocery shopping at West Nashville Farmers Market, the Nashville Farmers Market, and my CSA The Barefoot Farmer. 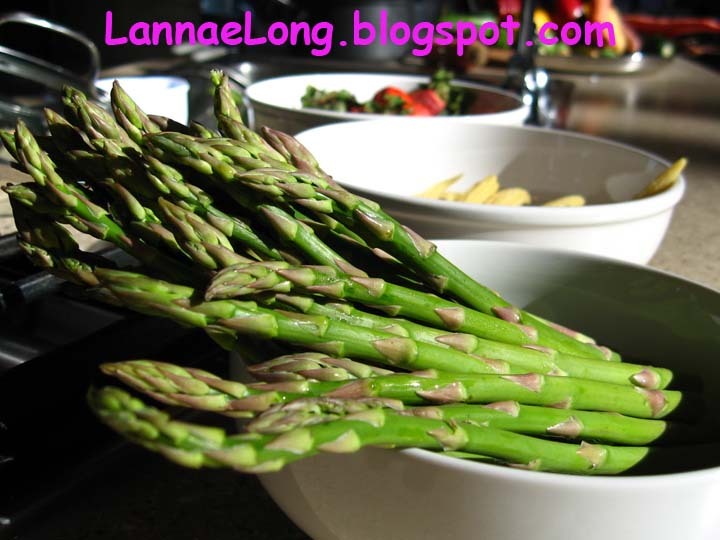 All the meat, cheese, milk, butter and veggies that I need I can source from local organic farmers. I do go to grocery stores for fruit and those prepacked snacks I love like potato chips and Mook Cheese Straws. But for the most part, the veggies eaten in my house are all from local farmers all year round. I made a toss together triple B meal of bratwurst, bacon and butternut squash. I had 2 brats from Emerald Glen, I had a few strips of Benton's bacon and more than enough butternut squash and I thought these flavors would be good together. I also stopped by Lazzaroli and there were boxes and boxes of shells in the fridge for sale, and I bought a bunch of them. Tom doesn't normally sell these to the public, so it is a real treat to have them. When I was at Lazzarolis, Tom said that I should get peas to add a little sweetness to the dish, and it is fun to eat when peas roll into the shells. I stuck up my nose at industrial frozen peas, but I did think that diced butternut squash would be a good sweetness substitute for the peas. Also, I think in some traditions that a little sweetness goes well with bratwurst as well as bacon. So digging through my freezer, and using the shell pasta, this is the dish I came up with, Triple B meal. It is a bit salty and umami from the garlic scapes and brats, smoky from the bacon, herby from the basil, sweet from the butternut squash, and slightly hot from the cayenne. This dish hits every taste bud. It is really good! 1. Saute bacon bits until nicely done. 10. Drain the pasta and toss in the bacon, brat, butternut squash mixture. Cultivate Wines is a new brand of wine, and a new way of doing wine business. Cultivate Wines gives 10% of their sales to education and basic human needs. That sounds great, and what is even better is that you, the consumer get to decide where those dollars go. Now that is a way to cultivate kindness, generosity and community. Cultivate Wines doesn't stop with their generosity there, Cultivate Wines is extending their generosity to you (and me!). Cultivate Wines is offering you, me, us 10% off every purchase made through the website Shop.CultivateWines.com. All you need is the code LANNAE10. Cultivate Wines invited me and bunch of my food blogging buddies to a wine tasting. What an experience! There are 4 bottled wines Cultivate Wines offers, there is the Dream Walker - a California Chardonnay, Double Blind - an Italian Pinot Grigio, The Gambler - an Argentina Malbec, and The Feast - a California Cab/Merlot blend. After taste testing all the bottled wines, The Feast is my favorite! The Feast is truly a feast for the all the senses. The Feast is a dark ruby red wine, the aroma is fruity and spicy, there is a substantial mouth feel, and the overall flavor is the signature BIG California wine that can stand up to a lot of different foods big and bold foods. To celebrate The Feast, I took the The Feast to my friends' place for a potluck cookout, which turned out to be a world feast. We had Thai peanut sauce marinated beef kebobs, spicy grill shrimp soft tacos, and spicy home grown tomato sauce over shell pasta. Each dish was spice inspired by different parts of the world, Thailand, Italy and Mexico. We needed a wine to stand up to a variety of world inspired foods, an The Feast delivered. What an experience, we traveled the world in food and wine, yet we were able to do it right here in the 'burbs of Nashville. I really wanted to go hear the symphony perform Aaron Copland's Fanfare for the Common Man. I love the Emerson Lake and Palmer version of FftCM, and it would be awesome to hear a real orchestra perform the piece. We were lucky enough to get complimentary 3rd row center on the orchestra level so we could really hear each instrument as they were intended to be heard. To make a real evening of it, we decided to dine at Midtown Cafe, leave our car in their parking lot, and take the Midtown complimentary shuttle to the Symphony. How this works is, call Midtown Cafe, reserve a spot on the shuttle, and then request the perfect time for dinner in the restaurant that would insure the spot on the shuttle. Complimentary shuttle service is not available unless you specifically make a phone reservation to reserve a spot on the shuttle. There are many diners that do this on a regular basis. I believe most of the people we were no the shuttle with were old regulars, and they must have season tix to the Symphony. Using this shuttle was great, we did not have to worry about driving in downtown traffic, finding a parking space, paying an arm and a leg for downtown parking, and hoofing it over to the Schermerhorn Symphony Center, and for me, I am not loving the hoofing in heels. The shuttle is awesome, the shuttle lets us off and picks us up right at the front door! The Midtown Cafe shuttle is really a nice perk. For dinner, I opted for the duck. I think for all the times I have gone to Midtown, I get whatever version of duck there is. Every single time I get the duck du jour, I am always delighted. This visit, the duck dish was a duck breast with a red wine glaze, hericot verts, and some potato maybe. They were kind enough to substitute a rice pilaf for me instead of the potato. 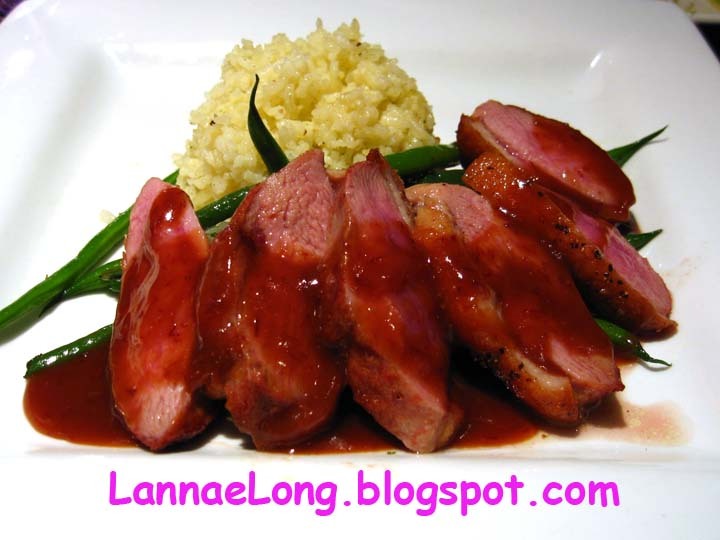 Duck is usually on the daily menu where you could build a 2 or 3-course meal for a discounted price. There are appetizer choices, entree choices and dessert choices for a fixed 2 or 3- course price. On the day we went, I opted for a 2-course special which was $27+ tax and tip, where if I purchased courses separately, it would have been about $42+ tax and tip. On top of my special 2-course meal saving me money on the list price, I also used a discounted gift card I purchased over the holidays, that saved me 33%, so in essence, I saved an additional $9 on my $27 meal, so I really paid $21 +tax and tip. That is a really good deal! What a great evening, for me. For the cost of $21+tax and tip, I got to go to hear the Nashville Symphony Orchestra perform Aaron Copland's Fanfare for the Common Man with complimentary tix, sit in the 3rd row center and see and really hear the Orchestra, get complimentary door to door shuttle service back and forth from Midtown Cafe to the Schermerhorn Symphony Center, no extra payment for downtown parking, and a rocking delicious 2-course meal with really great service from the wait staff and bar staff at Midtown Cafe. I felt like I got a million dollar evening, for just a little over $2o + tax and tip. Ms. Cheap, how did I do?! For how the economy has been going for us, and recent hail damage to our house and cars, we really need to watch our budgeting, and it is not a reality for us to pay full price for dinner and the Symphony, and definitely not on a regular basis. But, Randy Rayburn, owner of Midtown Cafe and Sunset Grill, has made it possible for us to experience a luxurious evening without breaking our budget. Every year around the winter holidays for the past few years Randy Rayburn has offered up discount giftcards to be used anytime, starting one day after purchase, and the giftcards may be used at either Midtown Cafe or Sunset Grill. Recently, he ran AN AWESOME deal, get 50% off giftcards, so $10 gets you $20 giftcard, or you can eat for 1/2 price. What a deal. Thank you Randy and all your staff at Midtown and Sunset Grill. My stay-cheap advice is, keep an eye out on the Midtown Cafe website, and look for discounts on giftcards for the restaurant and stock up. The food is always good at Midtown Cafe and Sunset Grill, and the giftcards never good bad. That is a good combo. 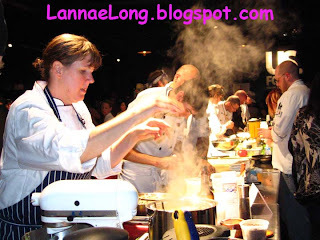 I found the cooking classes I have always want to take! These classes use local, local organic and local small business products to teach cooking classes. Also, one of my favorite chefs in the whole world, Laura Wilson is the primary teacher, and she is the director of the Grow Local Kitchen at the Nashville Farmer's Market. Most of the classes are generally between $15-$50, they are about 2 hours long, and there is plenty of food to eat, and plenty of technique to learn. You can BYO beverage, and enjoy the class. There are hands on classes, like knife skills where everyone learns about knife skills and can participate in cooking the class meal, to whole butchery class to learn where our meat comes from and learned how to prepare your own meat, to demonstration classes watching and learning from great chefs like Laura Wilson create a delicious meal that you can make at home. I have to say, I have only taken 3 classes so far, and I have learned so much, and have been inspired again to really get into my kitchen and cook. Here is a summary of the classes I have taken so far. In the knife skills class, we learned medium dice, small dice, julienne, and a few other cut terms. 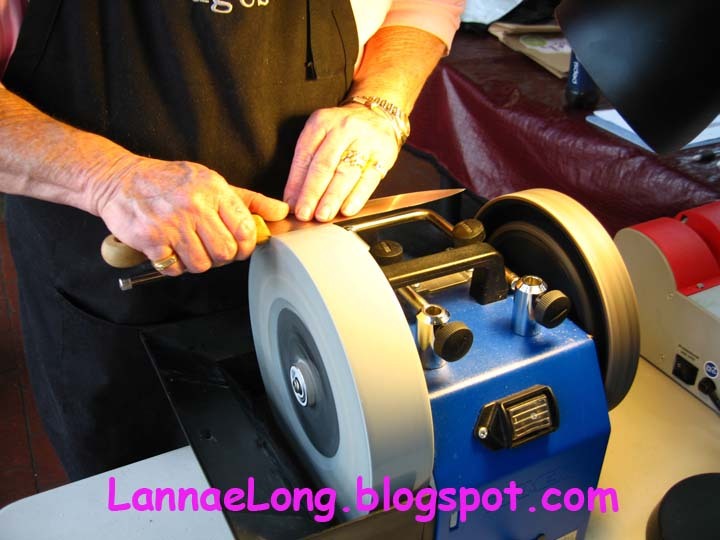 We started off by getting our knives sharpened by Cathey, who will be at the Nashville Farmer's Market with her sharpening equipment 1st and 2nd Saturday mornings at the Farmer's Market. Each knife sharpened cost about $3-5. Cathey recommends sharpening every 6 mo to 1 year. 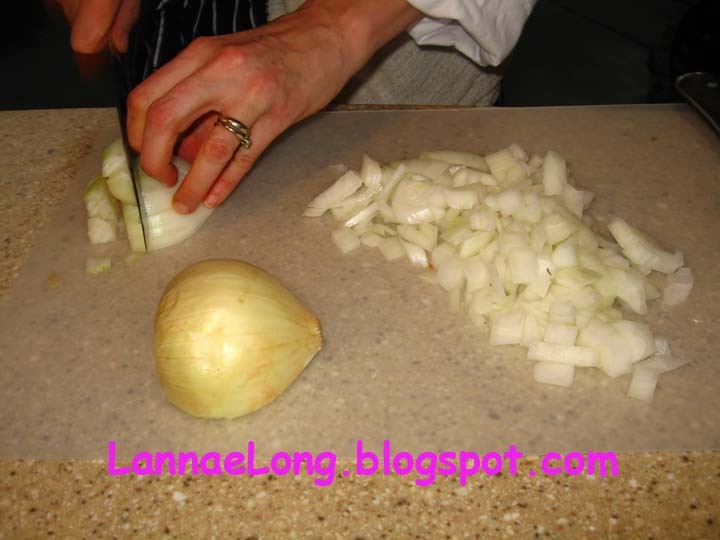 Then we started in on medium dicing our onion. I made my first cut and cut off the root end without listening to instruction. Then Laura said, "Keeping the root side intact..." I start laughing because I failed in the 1st cut! 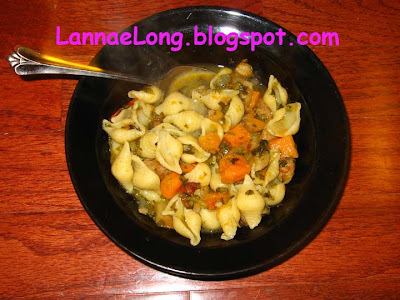 Anyway, I did much better with the green peppers, carrot, okra and celery. With all the veggies diced, Laura sauteed them and added the chicken stock she made earlier with Porter Road Butcher local organic free range chicken and veggies. Laura pulled the lovely chicken from the bones to add to the soup, and added andouille sausage as well. The result was a lovely tasty and filling chicken gumbo. 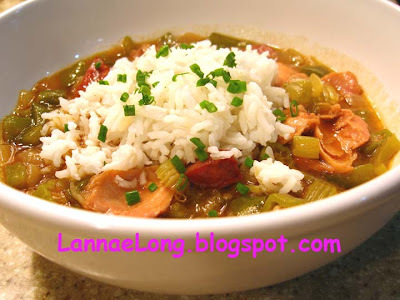 We each got to take home containers with the gumbo, and it was welcome couple of lunches for me for the week. The bento box class was way too fun! I also learned how much work it is to make cute little tastings for bento boxes. It seems to be more work than making dim sum, and I don't really make dim sum because it is a lot of work. 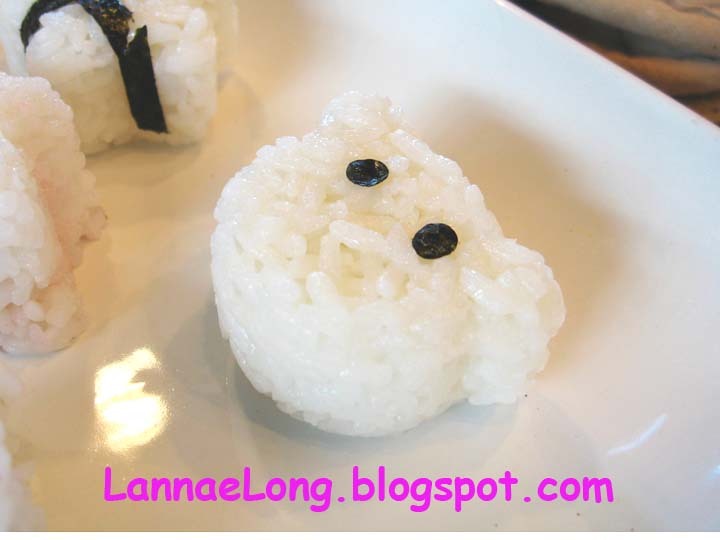 Anyway, the bento box items Laura made were just lovely, cute and adorable. The one gal I sat next to knew a lot about bento boxes. 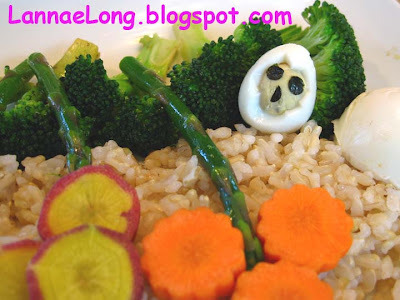 She said that it is completely possible to make a bunch of rice molds and make them a complete meal. What the method is, is to add fillings in the middle of each rice mold, like veggies or meats/protein, and make a variety of rice molds to be a complete meal. I love that idea. Laura made about 8 different bento box items. That was a lot of work. One that I just loved was the seaweed and soba noodle salad. The seaweed comes frozen and packed in salt and can be found in groceries that carry a lot of Japanese food products. The seaweed needs to be rinsed well to remove the salt, and then can be stirred in with soda noodles, sesame oil, rice wine vinegar, tamari and a little chili pepper. The take away is that we eat with our eyes first. The bento box is the ultimate in eating with our eyes while making a whimsical edible landscape in a box. The oyster class was way fun. 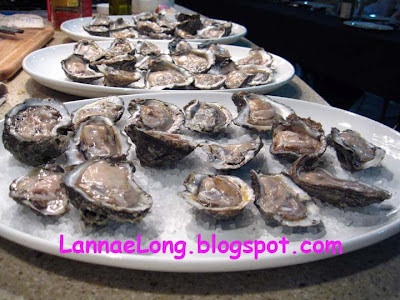 I met a lot of people taking the class, we ate a ton of oysters, and enjoyed ourselves like we were at an Oyster Party. I learned how to shuck oyster from Chris. You really need an oyster shucking knife, a sturdy glove that is puncture proof to hold the oyster while the knife is puncturing the oyster hinge. What you really need is someone like Chris holding the shucking knife and wearing the sturdy glove and shuck the oysters for you. After watching Chris, I can see where oyster shuckers earn their keep. I am partial to raw oysters and there were plenty to go around. What dish I really really liked was the oyster stew. 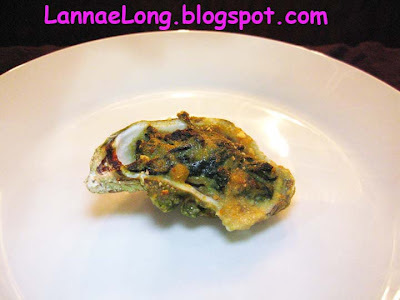 I made a variation at home right away, and just enjoyed a nice pot of oyster stew for a few days. I will like to make the stew again. This class was great because I actually never really cooked with oysters before, I have only had them out a restaurants. This class was great to demystify these little shell fish.